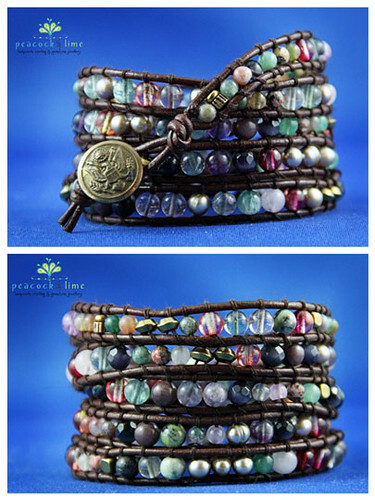 Today's find is a colorful wrap gemstone bracelet from Peacock&Lime. For those who love gemstones you can get your fix with this beauty! They've used a variety of gemstones like fancy jasper, rose quartz, fluorite, and aventurine coupled with metal beads and cultured pearls sewn onto dark brown leather and fastened with a vintage civil war/ military button. These wrap bracelets can be worn on the wrist or ankle and you can go for a daring look by wearing multiples. If you've ever thought your outfit was missing that little extra something, there's a good chance you'll find it at IGBijoux. Run out of Montreal, this great shop features the vibrant and refined jewellery creations of Isabelle Gaumont. Isabelle is also an actress, novelist, screenwriter and director. It's a wonder she has the time to make jewellery, but thank goodness she does. She has a wonderful eye for putting the right beads, stones, and colors together. Browsing through her shop is always such a delight. Isabelle: I like all my necklaces for different reasons. The long and thin ones for their elegance, the chunky natural stone ones for their personality and versatility, and the multi-strand or crazy chain experiments for their uniqueness and sense of fun. I'm a fan of sparkly crystal, earthy gemstones, colourful glass, groovy resin, and combining all those in unexpected ways. My wonderful and generous friend Jennifer (shop name: Sparklepod) taught me everything I needed to know to get started. At every opportunity, I learn more techniques to help bring my new ideas to life. I make jewelry to relax. To me, it is not unlike meditation. I hope a little bit of the joy I feel when I compose a necklace can be seen in the finished product. Isabelle: I'm a writer and an actress, so I'm constantly creating, but I guess what drives me to create jewelry is a little different. Writing novels is a long, drawn-out job and acting often depends on the schedule and choices of others. Making jewelry allows me to go from idea to finished product more quickly. I find it very satisfying. Initially, I began making jewelry for myself because I could never find exactly what I needed in stores and I hate to wear what everybody else is wearing. Also, as an actress, I audition for a lot of different characters... sometimes on the same day. Changing the accessories between auditions instead the whole outfit makes my life much easier... and my big purse much lighter. Colleagues soon started complimenting me on my necklaces, asking where they could buy them. Being on Etsy gave me a place where they could see more examples of my work. Isabelle: Because every necklace I make is unique, I would have to say yes. I plan to add a lot more. Isabelle: With my crazy schedule, I would not be able to use a system that requires regular actions at specific times. Etsy allows me the freedom to feed it whenever I can. Isabelle: Steampunk storage and accessories to hide modern technology. Vintage treasures. Tough call... but the necklace that got the most hearts and was included in the greatest number of treasuries is "Yellow Stone". You can keep up with Isabelle on her website and on Facebook. You can also follow her on Twitter. And don't forget to drop by IGBijoux. You might find that special little something that you've been looking for. The perfect piece to add to your jewellery box. 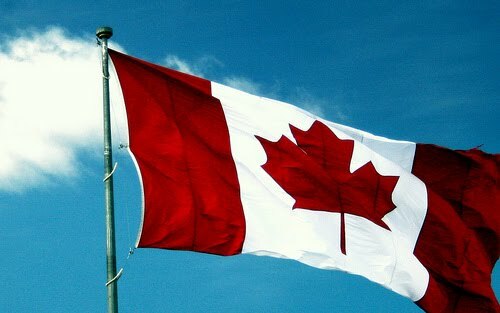 Oh, Canada! Come out to play! Oh, Canada! The Treasury Challenge is on, and we invite you all to play! Even if you’re not big on curating, there are important ways that you can contribute. We’ll kick off the new season with a Canadian theme. That is, do whatever inspires you, eh? * post the link to your treasury in the comment section of this blog. If your treasury link isn’t here, your treasury isn’t entered in the challenge. * use 6 team members in the top three rows. Incorporate as many team members as you like, but there must be at least 6 team members in the top three rows to qualify for the challenge. * invite others to play and provide a link to the blog challenge. The winner will not only receive a warm fuzzy feeling, but also, in the next challenge, an item from their shop will be used in the top row of every challenge entry. Copyright 2011 Oh Canada Team, EverandBliss and jansonpottery. Michael of Anterosurbanwood has worked in different fields but has now found his niche in woodworking. His new shop on Etsy features his woodworked pens in a variety of woods and colours. I was intrigued by this pen. It features Curly Maple Wood that has been dyed and worked under pressure to result in a beautiful grain. Coupled with a chrome finish, this makes for a sleek pen. It would be a beautiful souvenir or a classy gift when you don't know what to get someone! Brrrr! It seems that the weather has changed and we've left summer behind! Now that Fall is almost here, and I say almost because the leaves haven't changed colour yet, we need to keep warm... fashionably ofcourse! Arly has just the thing. From her studio in Montreal, she spins beautiful hats, mittens, scarves and baby accessories with luxurious, colorful yarn. 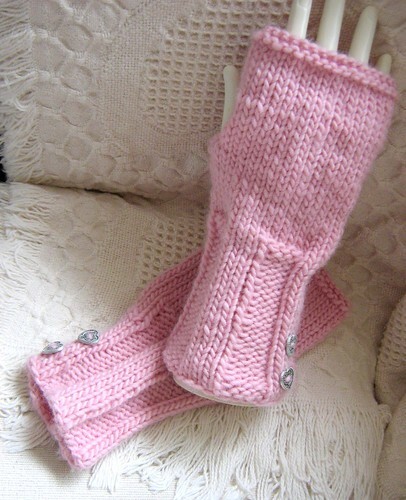 My favourite is this pair of fingerless gloves in Bridal Rose. I love the attention to detail found in the romantic heart buttons. A perfect accessory for Fall or Winter! 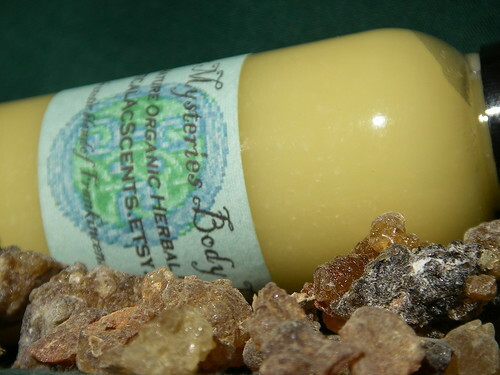 Ancient Mysteries Body Lotion by MisticalAcScents is a lovely, organic essential to add to your everyday routine. Based in Edmonton, Alberta, Canada, MisticalAcScents has a wide variety of medicinal and theraputic herbs and spices as well as organic and vegetarian bath and body products. Everything is handmade from traditional methods. As a confirmed bath and beauty product addict I could easily get lost among the tempting and delicious items. Definitely a place to remember this upcoming holiday season!